It's not Christmas without candy canes, and it's not a holiday unless I bake some cupcakes. I've been so busy baking just about everything but cupcakes, so I decided to whip up something quick. 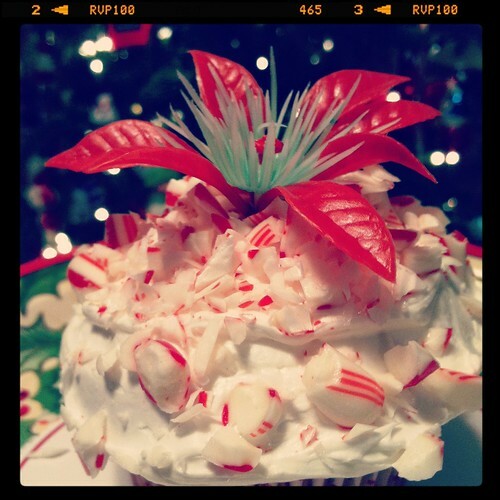 Here's a recipe for peppermint swirl cupcakes that's so easy even those who are baking impaired will wow guests with their creation. It starts with a box of Jell-O instant candy cane pudding & a white cake mix. Yes. 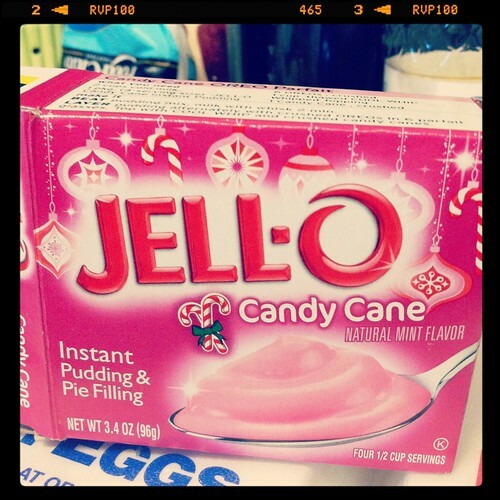 Candy cane pudding really exists. I found it near my grocery's holiday baking section. Pour the packet of pudding mix into a bowl with the cake mix & prepare the batter per instructions on your cake mix box. Divide the cake batter into two bowls. 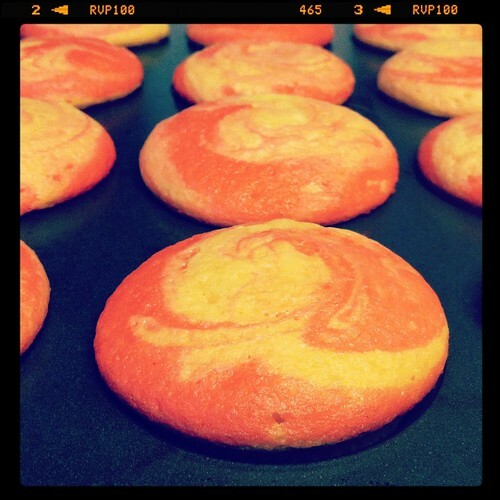 Using food coloring, dye one bowl of batter red. Here's where the wow factor comes in. Fill each liner 2/3 full with a small scoop of red batter & another small scoop of white batter. Swirl the batter together in each liner with a toothpick. Bake at 350 degrees Fahrenheit for 10 minutes on the middle rack. See that nice peppermint swirl? Finish it off with your favorite buttercream frosting or canned frosting. Don't worry. I won't tell. Garnish with a little crushed up candy cane and you're done. 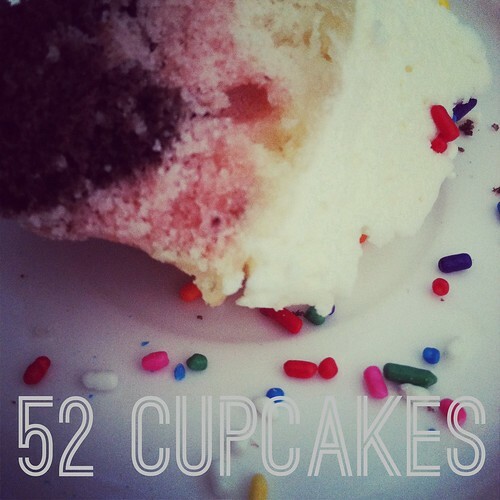 The recipe makes approximately 18 cupcakes. 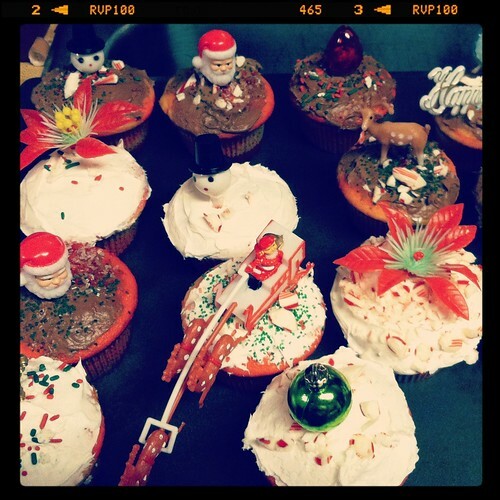 After letting the cupcakes cool, I set the table with cupcakes, a variety of sprinkles & cupcake toppers, and frosting. Then I let my nephews go to town decorating. The lovely cupcake toppers are from Bake It Pretty, my favorite online baking supply store. Happy baking! These look yummy, and absolutely gorgeous too! 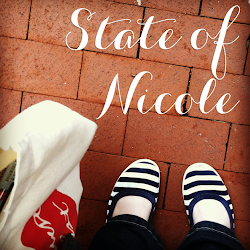 Thanks for the kind words, Charlotte! I hope you enjoy the cupcakes!